The columns(int number) method configures the "Number of Columns" option of the Delivery Pipeline View settings. But changing the value does not seem to have any effect. You should consider to report an issue for the Delivery Pipeline plugin in the Jenkins Issue Tracker. Not the answer you're looking for? Browse other questions tagged jenkins jenkins-plugins jenkins-job-dsl or ask your own question. 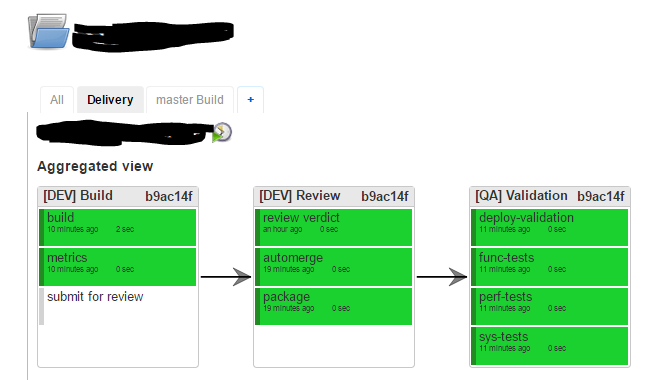 How can a final-job-to-be-displayed in a Jenkins Delivery Pipeline view be configured using the Job DSL?